Mammoth Lakes, spanning over thousands of acres of impressive terrain, offers more than enough outdoor exhilaration to keep you busy at any time of the year. This popular mountain destination is also a family favorite, offering a heavenly tubing hill for the kids. To help you make the most of your trip, Xplore Team expert Hannah has outlined a sample 3-day itinerary. There are so many reasons to visit Mammoth Lakes - not the least of which is its exquisite beauty, with clear blue skies and sprawling mountain peaks. One of California’s premier ski resorts and brimming with groomed trails and fishing spots, Mammoth Lakes is an ideal destination for all kinds of mountain and water adventure. When you arrive at Mammoth Lakes, you will be welcomed by the massive Mammoth Mountain, which is waiting with fresh powder. Spend the day creating track on skis, snowboards, or other exciting methods of getting around. Explore the groomed trails on a guided or self-guided snowmobile tour. Join a pack of well-trained dogs on a guided tour through the Sierra Nevada Mountains. Make time for a break on the patio, where you can watch all the action on the mountain. On your second day, continue exploring the mountain and shred some fresh tracks on one of the 150 trails waiting to be discovered. The Mammoth Lakes Basin boasts miles and miles of groomed terrain for all levels of ability. Discover the beauty of Mammoth Mountain on a guided tour. Enjoy bowling and great food for a night of fun and laughter. Mammoth Mountain offers a variety of activities for both the young and the young of heart. Embrace your inner child and race down the mountain on tubes for a final day you'll never forget. Catch a lift to the top and experience groomed trails on adrenaline-pumping tubing adventures - and don't forget to say hello to Woolly! Venture to the summit of the mountain on a gondola and enjoy surreal panoramas of the Sierra Nevada landscape and San Joaquin River Valley. Get messy with the best barbecue around. 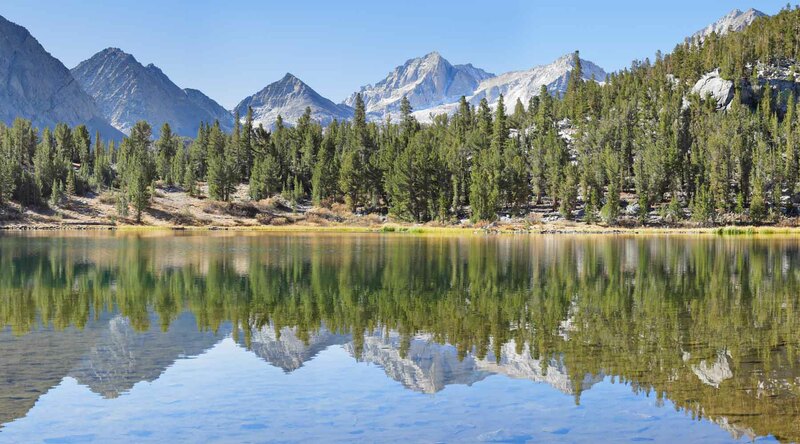 "I love that Mammoth Lakes is so close to amazing natural beauty, like Yosemite and Mono Lake." Tucked in the Eastern Sierras, Mammoth Lakes, California is a stunning epicenter for year-round outdoor adventure and excitement. Hannah has ten years experience in the hospitality industry and has traveled extensively both in the US and abroad. After two years of traveling in Asia she joined the Xplore team in Denver. Outside of work, Hannah enjoys hiking, kayaking, and seeing new places. She looks forward to sharing her love of travel with you and planning your next vacation.